Former Army Signal Corps Sergeant Stanley Lieber passed away on Veteran’s Day at the age of 95. Most of us knew him as Stan Lee, cocreator of Spiderman, the Fantastic Four, X-Men, Daredevil, and many other Marvel Comics superheroes beloved from the 1960s through today. 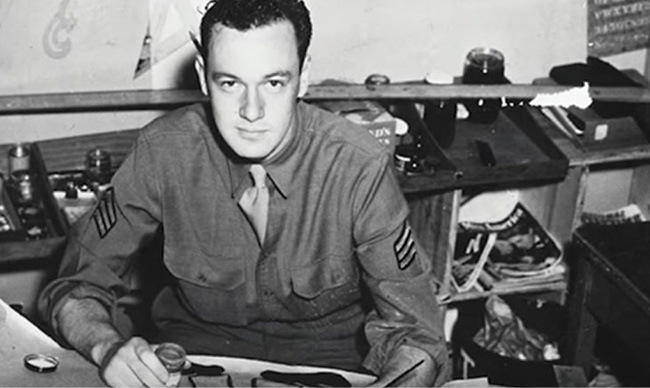 Figure 1: Stan Lee, in his U.S. Army Signal Corps days (1942-1945). From nerds to jocks, kids could identify with Lee’s superheroes because, aside from their superpowers, they were a lot like us … with girlfriend troubles, tough science projects, or – for the older set – trouble keeping a job. His creations inspired many kids and teenagers like myself, those of us who grew up in the 1960s and 1970s to be writers, artists, and of course scientists and engineers. Many of the alter egos of those Marvel heroes were also scientists – Peter Parker (Spiderman), Tony Stark (Iron Man), Bruce Banner (the Hulk), and Reed Richards (Mr. Fantastic) – or artists – Steve Rogers (Captain America, my favorite) – or even medical doctors – Stephen Strange (Doctor Strange). In one sense, his creations made science and art cool things to pursue and without a doubt many engineers, programmers, scientists, and artists of my generation will say that those lost hours in the comics when they were kids played a part in their career choice as adults. Same with today’s younger generation, who have grown up watching the Marvel film franchises like Captain America, The Avengers, Spiderman, X-Men, etc. But back to those superheroes and their super toys: Much like gadgets from other science-fiction stories – “Star Trek” communicators come to mind (cell phones) – the super tech imagined by Stan Lee and his colleagues likely inspired some real-life designs used today by the military and consumers today. The magic behind the Fantastic Four uniforms I didn’t remember, but I did find info about them on this fun site about Marvel Superhero technology (http://marvel.wikia.com/wiki/Category:Technology.) They are made up of “unstable molecules,” invented by the team leader Reed Richards. I don’t know of any DoD lab working with unstable molecules, but the U.S. Army’s Natick Soldier Systems Center does some amazing things with soldier uniforms, fabrics, and wearable electronics, while the folks at W.L. Gore & Associates have designed suits and uniforms for first responders, keeping them safe in extreme cold and heat. Marvel Comics tech we’ve yet to see on the battlefield would be Thor’s magic hammer, the indestructible adamantium metal that covered Wolverine’s skeleton, or evidence of a Super Soldier Serum like that which turned skinny Private Steve Rogers into Captain America – a steroid without side effects. ‘Nuff said on tech, but if I missed any superhero tech that is now reality for the U.S. military, or other applications, let me know here (john.mchale@opensysmedia.com) and I’ll write a follow-up story. More than anything, Stan Lee’s adventures provided an escape for anxious teenagers, dreamy kids, nostalgic adults, and especially soldiers, sailors, airmen, and Marines deployed across the globe. Comic books have been part of care packages for warfighters – real-life heroes – from the battlefields of World War II to Vietnam to the Persian Gulf to soldiers stationed in peaceful but remote posts. It continues today … Organizations like Operation Gratitude (www.operationgratitude.com) have delivered tens of thousands of comic books to U.S. service members serving far from home. Please visit the website and see how you can give, in many different forms. Thank you, Stan Lee, for all the smiles and escapes you’ve given our troops and for all the movies, the comics, and the stories that still make me feel like a kid again. As Stan would say … Excelsior.